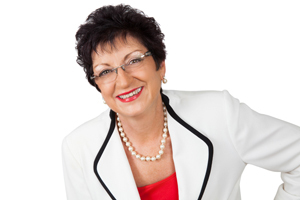 Voted one of Queensland’s Top Celebrants – after one phone call, it’s easy to see why!! You’ve decided to marry. Your Ceremony of Marriage is your opportunity to share with family and friends your love and commitment to each other in a way that is meaningful to you both. It is important that your ceremony reflects your personalities and your values. My mission is to work closely with you both to create a memorable ceremony. I will assist with all the legal requirements and help you to plan this beautiful and unique occasion. Every couple has different ideas of what they want for their ceremony. I offer all couples a over a hundred page ceremony guide, which will help you, make your choices or may inspire you to create your own ceremony. I have a large selection of readings to choose from and my job is to listen to what you both want and make your special day a memory that will last a lifetime. We will work closely together to ensure that your ceremony is what you want. I am a full time Authorised Marriage Celebrant and I live on beautiful Tamborine Mountain, which is situated in the hinterland behind the Gold Coast. Tamborine Mountain has become the premiere wedding destination in South East Queensland with a wonderful choice of wedding and reception venues. I perform ceremonies from Brisbane to the Gold Coast but am especially delighted to officiate at weddings on the Mountain. I have had a lifetime of experience working with people from all around the world, from different cultures and with different beliefs. I believe that this experience gives me the skills that make my job so enjoyable. Dear Caroline – John and I thank you from the bottom of our hearts for the beautiful ceremony you officiated for us. Everything went perfectly. You have a professional manner in officiating and your voice and manner created a presence. The examples of vows you had, allowed us to create a personal selection, which suited our situation. You prepared all the paperwork efficiently and we had confidence in you to handle this. It was the details that impressed us such as the” bubble machine”, feather pen for signing the register and a personal booklet of the ceremony, which we will treasure for life. We are copying it for our parents and children. Thank you for your expertise in this most important event in our lives.